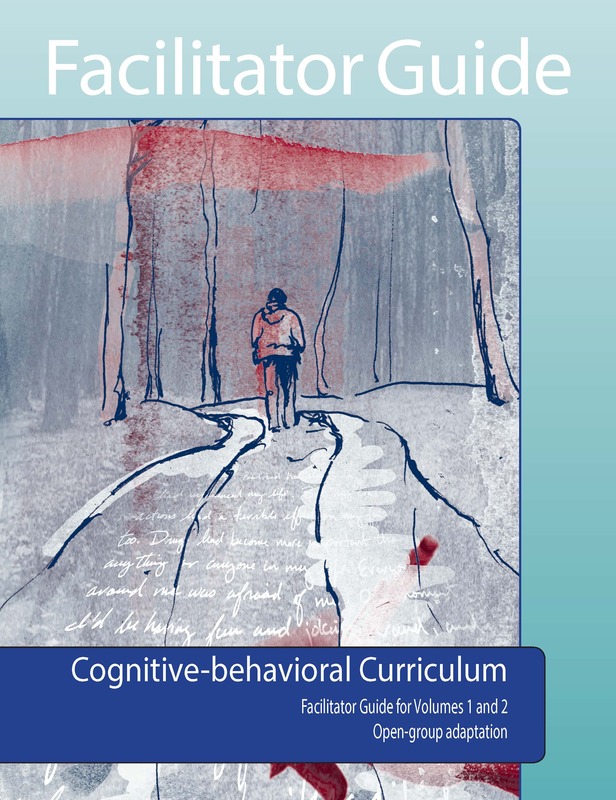 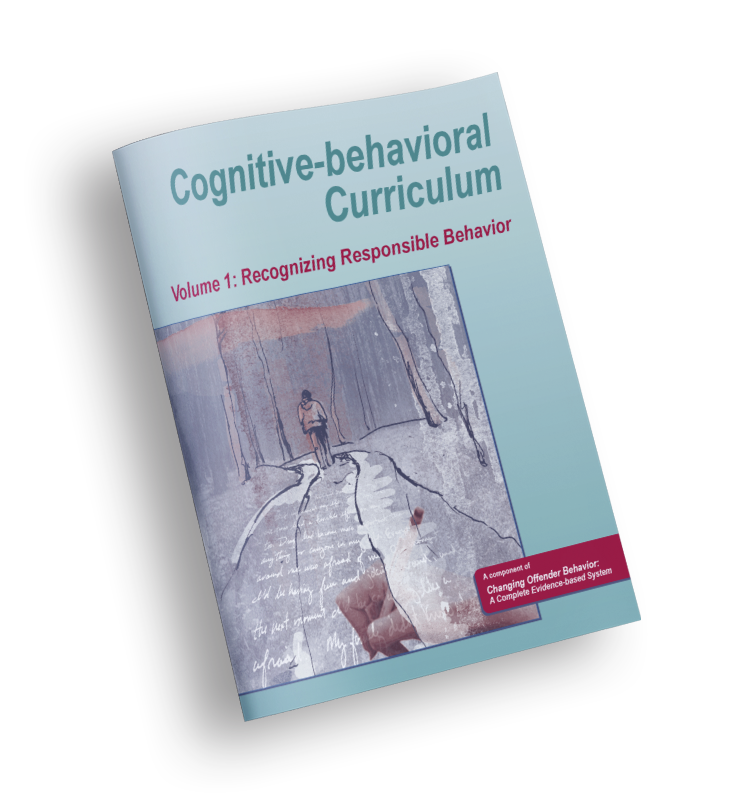 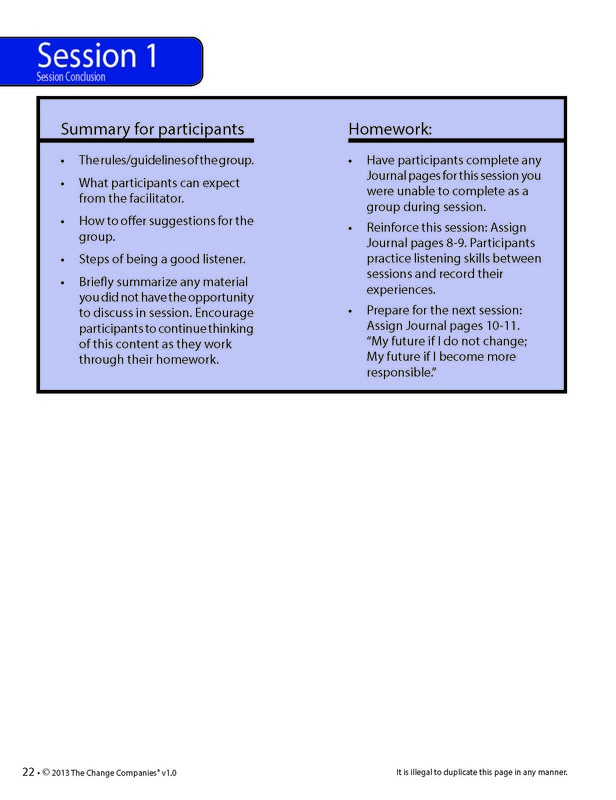 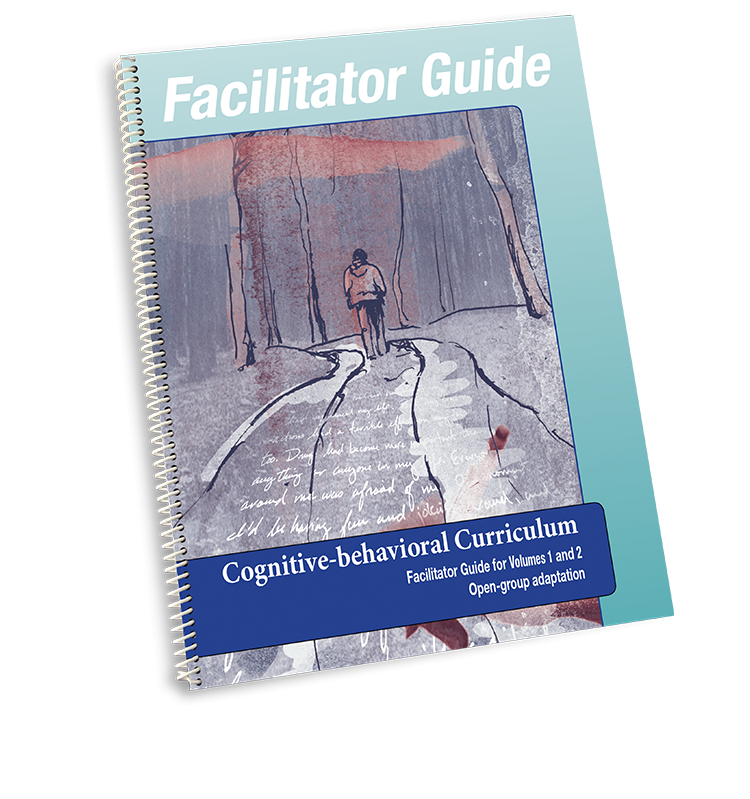 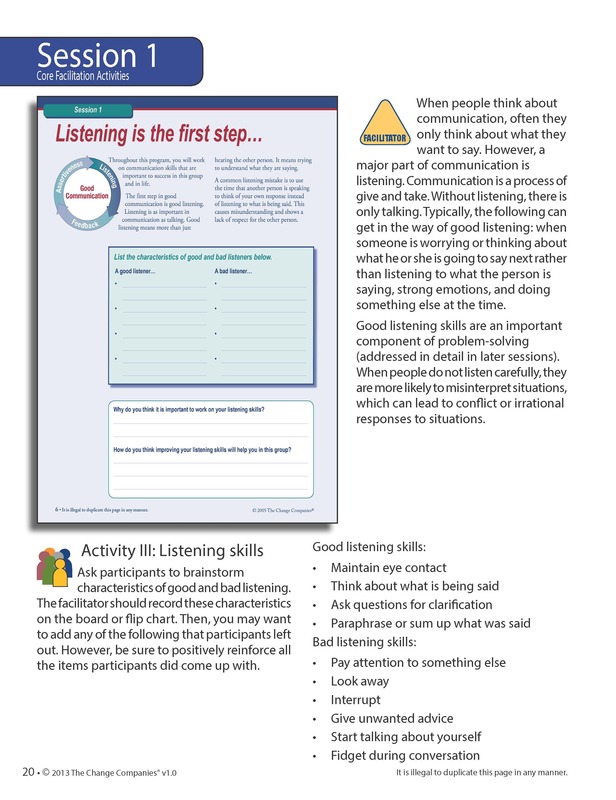 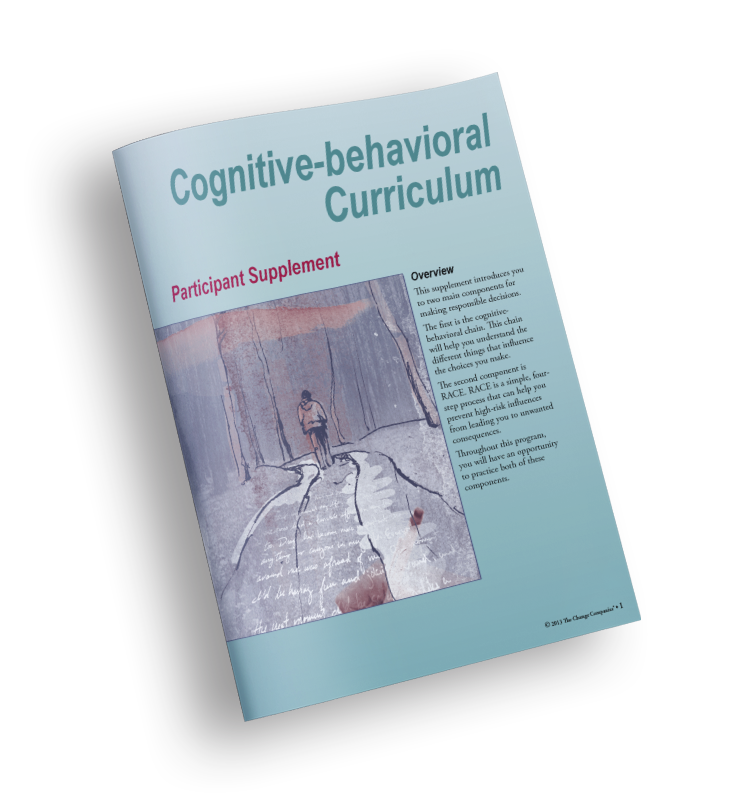 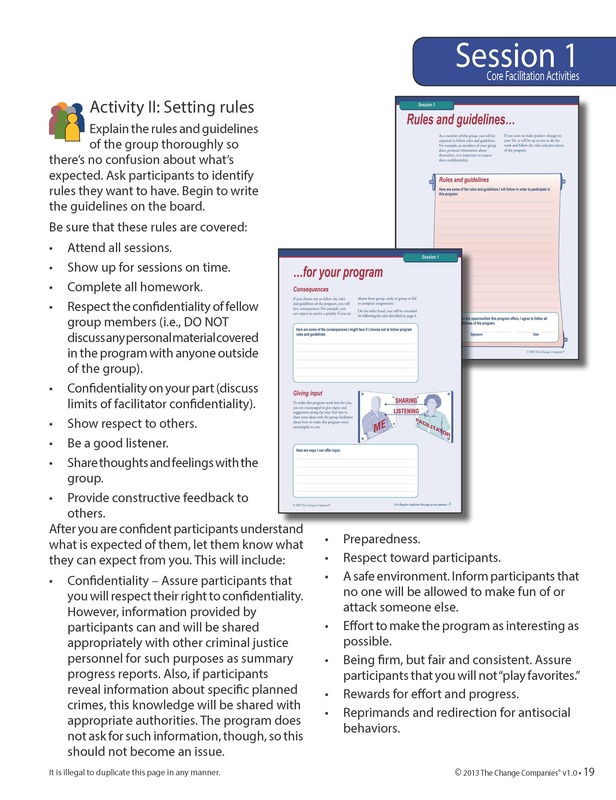 This Facilitator Guide offers an open-group format for delivering Volumes One and Two of Changing Offender Behavior. 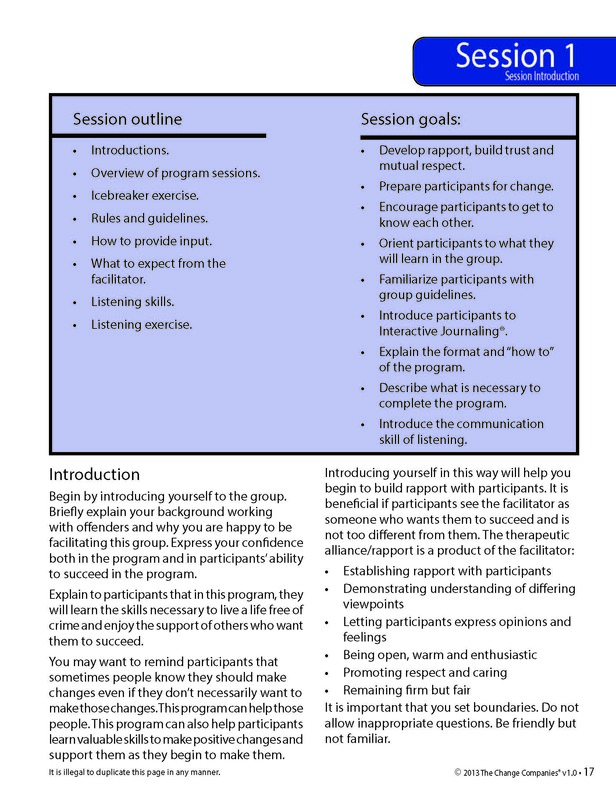 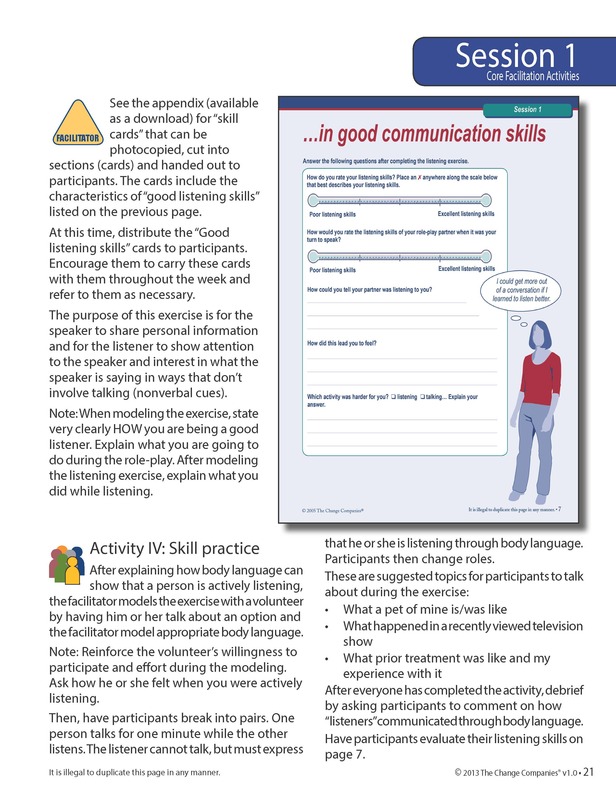 This model offers flexibility in delivery style, and can be easily tailored to a 60- or 90-minute session. 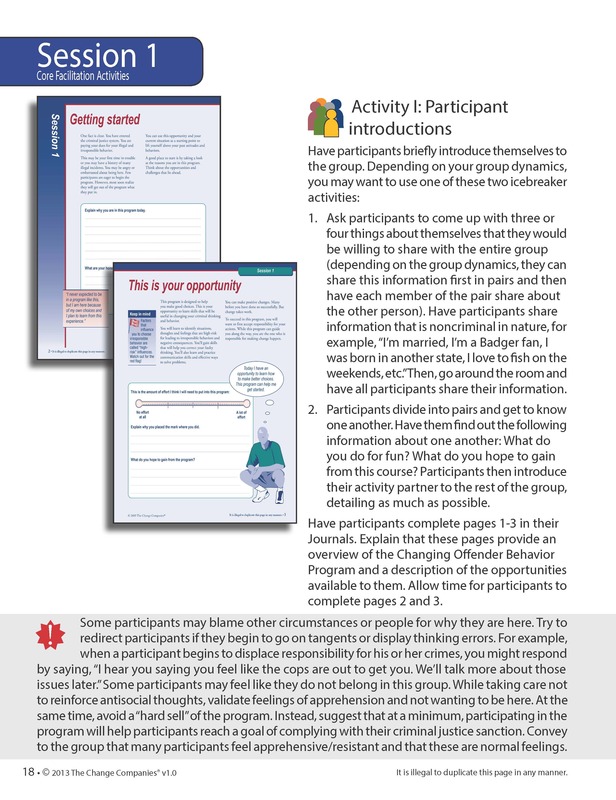 Using a three-phase format, this adaptation accommodates participants entering and exiting the program at different times. 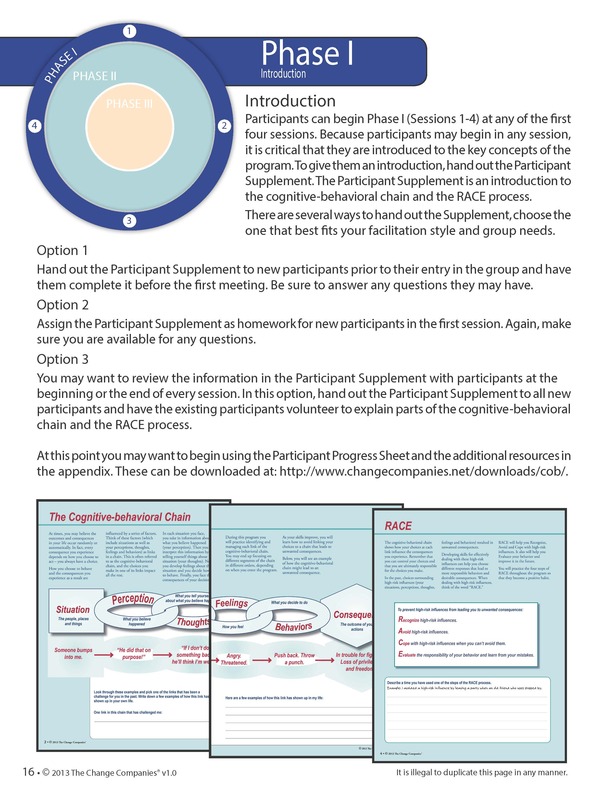 Two new supplements, one outlining key concepts for new participants and one tracking individual progress, support this open-group format, and are available at no additional cost.